Pearls, highly symbolic, impact us in life-changing ways. Exactly what is the meaning of pearls? I remember wearing real ones for the first time. Their effect on me amazed me. Self-confidence, a fantastic life-giving power, came over me. Were they lovely? Yes, to me, maybe not to an experienced jeweler, but to me they were beautiful. A whole new world opened up before me. What is this allure of pearls? Who do they symbolize? Is there more to these nature-made gems than their chemical composition? What lies beneath their mystic? Read these intriguing pages and be enriched. 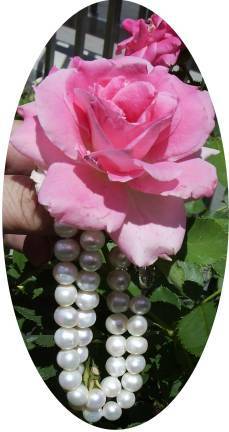 If you enjoyed this page and the others about the meaning of pearls, I invite you to sign up for my e-zine.